When it comes to vital organs, hearts get all the love and kidneys get the short end of the stick. So, this March 14th, on World Kidney Day, we’re asking you to Heart Your Kidneys for a change! Make kidney health part of everyday conversations with the same urgency as heart disease, cancer or diabetes. Because if your kidneys stop working, so do you. Help us spread the word. Share these articles and social media posts, use our letters to write to local governments and businesses, and post our video on your company intranet. Please visit our website at kidney.org/heartyourkidneys. Learn more about the campaign and how we’re expanding the conversation from kidney disease to kidney health. Download these to place on materials or promotional items. Share these on social media, your company intranet or newsletter. Share the videos on your company intranet, at your event, or post on your social media pages. See "How to Pitch" below for instructions on how to pitch the Jerry Rice PSA to media outlets. Go to https://www.facebook.com/profilepicframes to add the Heart Your Kidneys frame to your Facebook profile picture. Use these to update your Facebook, Twitter, and Instagram pages. Use these on your Facebook and Twitter pages. Click Image to Download. NKF staff, please use these profile images on any NKF local social media pages. Click image to download. Use this PSA script to submit to radio stations and ask them to record and run the PSA during March. Use these ads in your gala journals and to pitch them to your local newspapers and magazines. Fill in highlighted information and send to local officials to raise awareness in your community through media outlets. This year we want to encourage all of our local news anchors to participate in World Kidney Day by wearing an orange kidney pin during their broadcast. 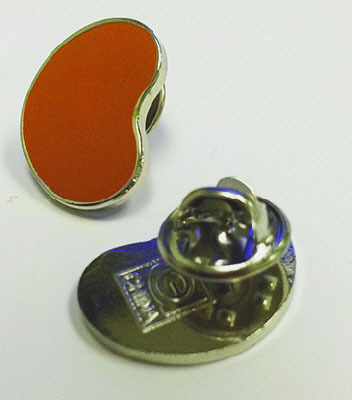 At the end of January, all local offices will be receiving a special package containing at least 20 oversized postcards, each with an orange kidney pin attached in observance of World Kidney Day 2019, is part of a local news anchor request campaign we need your help to achieve. See the "How to Pitch" section above for instructions on how to make this ask. Make a special one-time Kidney Month donation or provide lasting impact with an automatic, monthly gift. Create your own National Kidney Month Facebook Fundraiser. Share your passion for the kidney community with your friends and family. Celebrate as a team. Give dialysis patients in your area much-needed relief with a hands-on, team-building activity to assemble care packages for dialysis patients in the community where you live and work. Demonstrate your kidney community pride with a special NKM Facebook profile frame. Make sure you are geared up for National Kidney Month with a variety of HYK swag! Visit the NKF store to place your order. 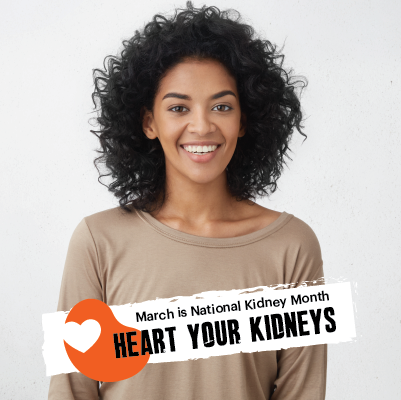 Use these templates to ask companies to promote kidney health to their employees during the month of March.